Getting low academic grades on a certain subject might have become acceptable for some students. However, it would be purely acceptable if students do get failing grades in their studies. Students are even expected to give a good fight for grades, aiming to get good marks in every subject possible in the university. Failure is certain when a university student stops doing things in line with his goal of getting good grades in school. There are a number of things that a university student could do in order to improve his academic grades. The first of these things is determining your personal learning style. Each person learns differently from others. What may be effective for one student could be counterproductive to others. Likewise, what may be a useless method for one person could be a very significant approach for another. Knowing how you learn best will help you determine what steps to take in order to improve your academic grades. 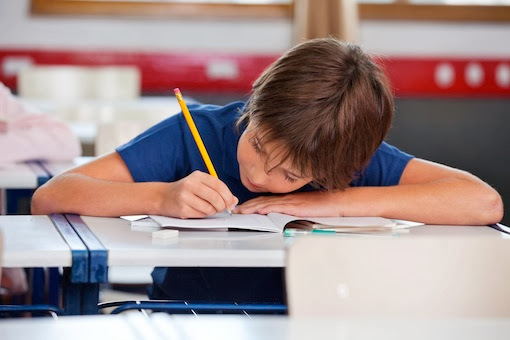 Thus, if you think that one study or learning habit does not in any way help you learn more and get good grades, it may be time to reassesses its effectiveness. Using ineffective learning methods again and again would only waste your precious time and even your efforts and resources. For instance, studying late at night could be productive for some students. However, studying late at night may not suitable for your schedule and other daily habits. It may intrude and disturb other activities that are also as important. Likewise, studying late at night may not be suitable for you since you are already too tired to absorb academic information. In this case, it may be more suitable for you to try to study at other times of the day, like early. After a good night of sleep, you may now have both enough mental and physical strength to take on some lessons that were discussed or will be taken up in the class. Such schedule could be also applicable when accomplishing other academic tasks like writing essays, assignments and others. To further improve your academic grades, it could be advisable to determine which academic tasks or subjects you were having some difficulties. It is often good to determine your weak points in order to find some ways to plug your academic bleeding. It could be that your grades are so woeful since you often submit your assignments late. It could also be that your grades are that bad since you always start late in doing your projects and end up completing them just for the sake of being able to comply with requirements. It could also be that your grades are low because you do not really take time to edit and proofread your written assignments. Whatever is your weakness, there is always something you could do to turn it into a major strength. That strength would boost your chances of improving your knowledge and skills, and eventually your overall grades. Most of the time, students prefer to hold onto their pride and refuse to get necessary help from other people when they encounter some issues or problems with regards to their school work. Pride per se is not harmful, but refusal to see the advantage of getting academic help is just plain stupidity. Acknowledging your weakness and allowing yourself to be helped by people who possess the knowledge, skills and expertise could be the best decision you have made in your years of studying. After all, students go to school to cover their weakness and gain strength they need to tackle the field they have chosen. You could approach a professor, a teacher or even a fellow student who has shown excellent knowledge and skills in the subject or field. You could even approach groups or individuals who offer their services to students who need them most. You could also participate in study groups with you classmates. Getting academic help is never shameful, but it will always be an act of courage. In the end, you as a student are fully responsible for every action you take while in university. Whatever those actions are, just make sure that they would all contribute to your success in your studies. Improving your grades is just another end of the stick, but doing such would be a game-changer for throughout of your university years.